This is article three in a reoccurring column guiding students through the navigation of mental health on college campuses. According to CollegeStats, 50 percent of students rate their mental health as below average or poor, and up to 80% of college students share that they feel overwhelmed by their responsibilities. This column aims to assist students in their pursuit of emotional growth. When we see our friends and family struggling with their mental health, it can often be tricky to know when to step in and when to leave them alone. Individuals may show signs of declining mental health, which include withdrawal, acting recklessly or becoming dependent on drugs and alcohol— but how can we know when to step in and voice our concerns? It’s important to remember that everyone has bad days, and we all have different coping mechanisms for our perceived failures. Some may quickly brush it off, while some may take it harder than others. It’s important to know a normal response and when the response may signal something is wrong. According to NAMI (National Alliance of Mental Illness), a good gauge is more than two weeks when friends begin to withdraw and feel upset. Any more than this amount of time may signal it is time to voice your concerns. Once you decide whether or not you should voice your concerns, it is important to understand when and how to approach the situation. West Chester University professor Amanda Blue, PhD, offers students free Mental Health First Aid training right on campus. She says, “[Mental Health First Aid] is an eight-hour comprehensive program that is free to students and staff and faculty, and it teaches people about warning signs and risks.” According to West Chester University’s website, the course allows you to “understand and respond with a practical action plan” in response to a mental health crisis. If you don’t have an eight-hour time period in which you can attend one of these courses, you can still be knowledgeable and prepared by recognizing those telling signs that signify something may be wrong. According to NAMI, one of the most important things you can do when addressing mental health concerns is remain passionate and empathetic. Try to use “I” statements rather than “you” statements in order to remain non-accusatory. Simply saying, “I have noticed you seem to be sleeping a lot more, is everything alright?” rather than, “Why are you sleeping so much?” conveys a safer environment that facilitates healthier conversation. Addressing mental health concerns alone may be intimidating and difficult, which is why involving someone you trust may be helpful. Reach out to a family member, friend or someone else you trust and share your concerns with them. They may be able to help you speak with your loved one and make it more comfortable for everyone involved. The most important thing to do for someone experiencing mental health concerns is to offer support. Often times, individuals may not be ready to talk about their mental health. Even if your friend is having a hard time, they have to be ready to discuss it with you, so it is important to let them know that once they are ready to talk, you are there to listen. 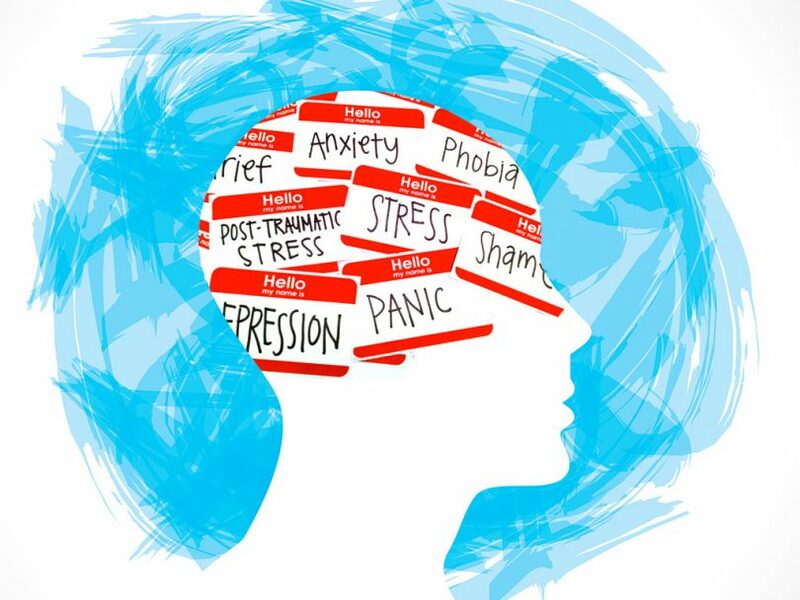 If you or someone you know may be interested in attending Mental Health First Aid training, classes are taught by Dr. Blue on Friday, April 12 from 8 a.m.- 5 p.m. and Tuesday, April 23 from 8 a.m.- 5 p.m. in Sykes Student Union. Free tickets are available for purchase on wcupa.edu/healthsciences/mentalHealthFirstAid.aspx.